Dingodabulous and his mates Crocoriffic and Goannagogo reveal the magical world of Urbanimaland, a place that exists in the cracks of the big city where, unseen by adult eyes, the Urbanimals dance, make magic, art & music. 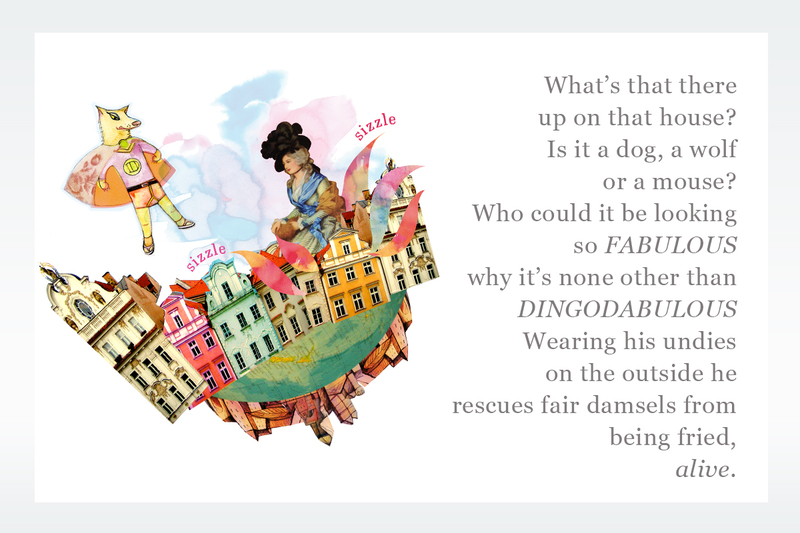 A funny, silly set of rhyming verses with collage illustrations and adventurous language for readers between 5 and 8 that celebrates the diversity of urbanity. Previous PostWas mein Leben reicher macht?